A simple pair of Pink Socks can change your world! Pair by pair pink socks have become the new paradigm in connectedness for healthcare IT professionals all over the world. To have a pair from Nick Adkins that you can gift on enables you to become the Network Effect Technology! My first pair arrived from the Netherlands, from Ignar Rip, a simple gift of a few pairs to pass on, to create a little enclave of Pink Socks for an Irish health care conference, in this case the socks represented more than a new connection for technology people, they represented an awareness of improving Dementia care globally, they also created me a new friend who loves a variety of music and believes in the transformation of health care. Being able to pass the socks on at the Future Health summit to such giants of the industry like Andy Kinnear and Rachel Dunscombe was a great pleasure, seeing the founders of One Health Tech Ireland in the socks as they began to formulate the plans for creating diversity in our industry was also a great thrill. In just three connections the socks were making more difference than Block Chain is yet to make on health care! Next came the wonderful Roy Lilley and Shane Tickell at the first Irish HealthChat, live from sunny Dun Laoghaire, Pink Socks times three now made it on to live TV and still represented partnerships and friendships coming from working together. Over the last three years we have worked hard with team in Dun Laoghaire to try to ensure there are ways that an Irish company with an amazing idea can be supported by the Irish health care system that needs their amazing ideas. Pinks Socks in action for another reason! Last but by no means least is the Pink Socks feature at Health Innovation week, a pair of the Pink Socks 2.0 gifted to every speaker at the main event ensured that they then featured in the whole week of events. 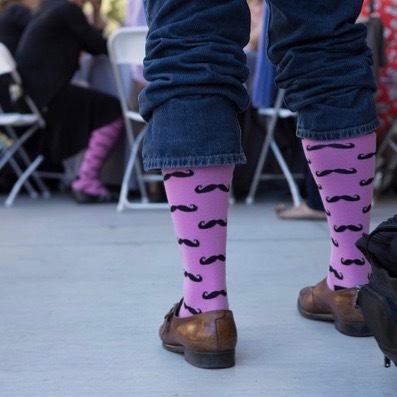 It didn’t matter if you were the newest digital engagement expert from Samsung, the CEO of CHIME or the Minister for Health, in that week Pink Socks became the way to connect. Nick finishes his recent TEDX in San Francisco by asking everyone in the audience to turn to someone they don’t know and with intent say, “I See You!” Three words that can make a connection. 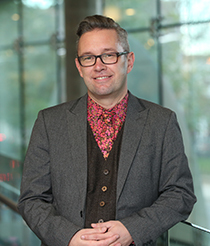 …a new connection, a new way of seeing people, not roles, not prejudices, not functions, not end game goals, but real people, who, if we truly make the connection we will be able to have help in everything we do. I want to be seen because I want to help.